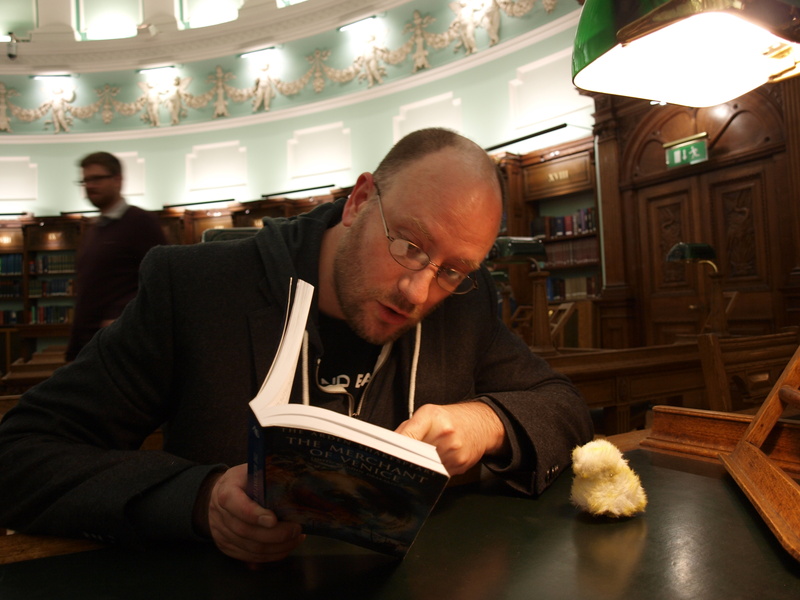 Archives For Freemasons run the country! Today was, on the whole, a good day. We had the first proper presentations of an invention project I had my kids do in class. Not as brilliant as Joel’s weekly invention exchanges on Mystery Science Theatre 3000, but since the kids were learning about the Industrial Revolution I thought it might be a good idea to have them research proper inventions like the telegraph, rockets, and even Segways. (We learned what “ironic” meant when one presentation erroneously stated that the inventor of the Segway died by falling off of his and down a cliff. Tomorrow we get to learn what a “retraction” is.) One student built a homemade telegraph machine that actually worked. I’ll get a picture of it for later, because it’s incredible. While I wanted the kids to learn about inventions, the project was really assigned to gauge their adeptness at technology, research skills, and public speaking. And it’s interesting to see what they know and what they don’t know. Now that tablet computers and smartphones are (increasingly) the only digital device kids use, their knowledge of how to run desktop PCs and software like Word and Power Point is really starting to decline. Which may not be a bad thing. Do I really want to train kids to just give presentations? I’m not trying to train a generation of market analysts, you know. After the end of a long day I got to spend a couple of hours catching up with a former student from my last class. He’s a seventh grader now, and we hadn’t had an opportunity to tell stories and crack jokes in a long while. He’s a great kid, and one of those students I’ll probably keep in touch with for a long time. Now that he’s older he’s into Doctor Who and Arrested Development, so it was a mad quote-a-thon for a while. (“There are dozens of us!!! DOZENS!!!!!!!! !”) Right now he’s obsessed with the Freemason mythology that has surrounded American history for a while. This is one cool kid. He’s admittedly not much of an artist, so he enlisted his sister (in my class this year) to do some drawings for him. Before I close, I should really just embed this Invention Exchange and let others enjoy it. I’m so thankful for YouTube’s treasure trove of MST3K-related videos. Is it wrong that I credit Joel Hodgson as one of my main influences, as far as teaching goes? That might explain my tendency to (gently) mock and (slightly) distrust most things I come across. I have a few stories to tell from the first three months of living here, so I thought I’d spend some time catching everyone up on what I’ve been doing over here OTHER than going to class and studying theatre (almost) non-stop. 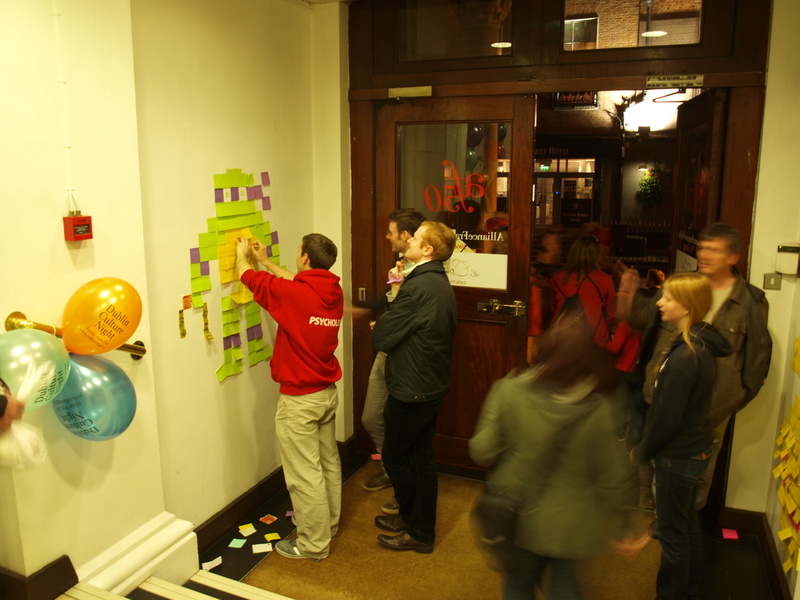 Last month Dublin held their annual Culture Night. 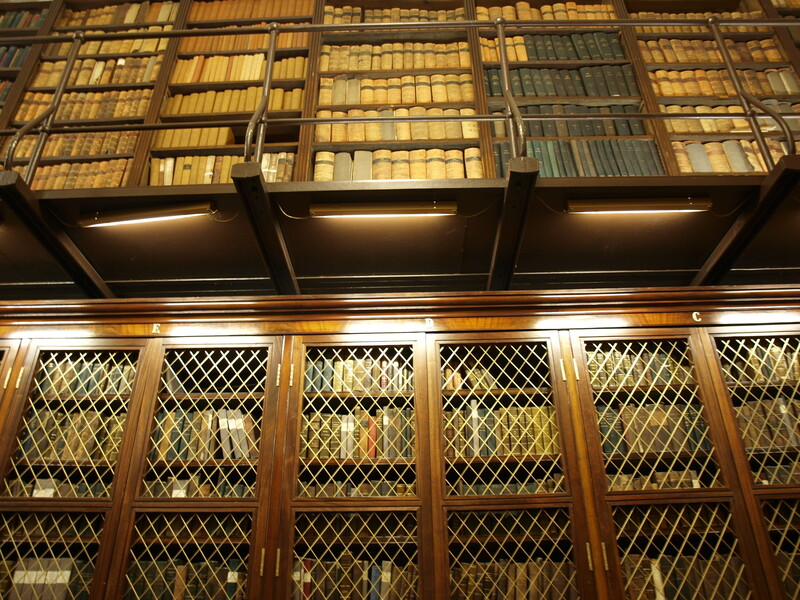 Once a year on a Friday night in September the great cultural institutions of Dublin keep their doors open late into the evening and allow the public to wander in and out, all for free. 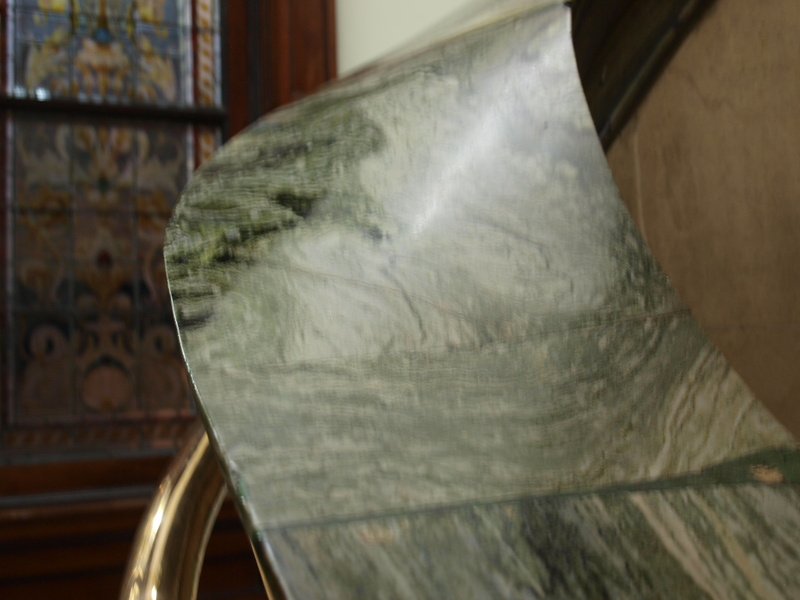 This ranges from the museums and libraries to other, more restricted places like private clubs that wouldn’t normally allow the average man on the street to pass through their doors. I had been given an assignment by one of my professors to go view a particular painting at Dublin’s National Gallery, so with my friend Elisa in tow, we spent a pleasant September evening wandering in and out of some of Dublin’s more “cultured” establishments. 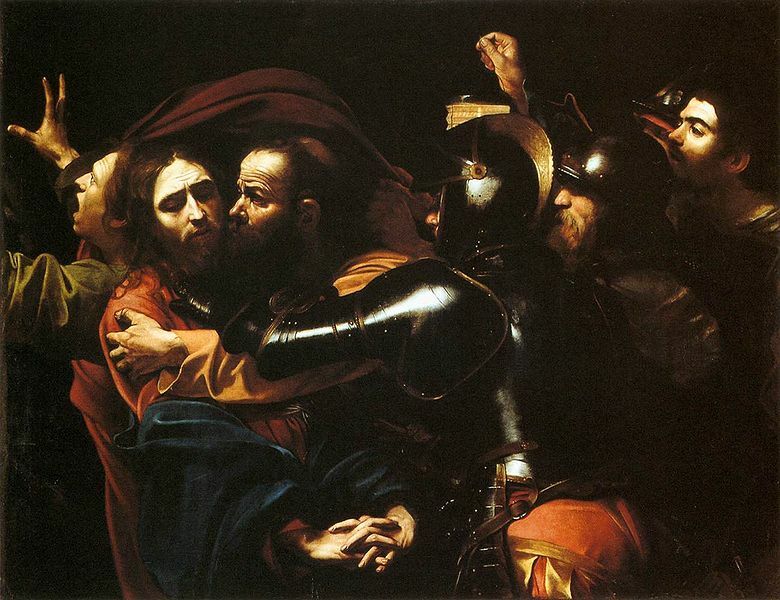 This is a painting by Caravaggio called The Taking of Christ. It was painted sometime around 1602, and thought lost for hundreds of years before it was found in a Dublin Jesuit’s hall. Professor McGuinness said I should study the use of light, to help with coming up with ideas for set design and lighting for my conceptual Merchant of Venice assignment. 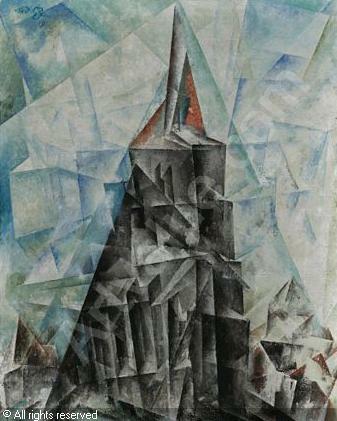 But what I really found interesting was a painting by a guy named Lyonel Feininger. This gave me all sorts of ideas about how I wanted to deisgn my (imaginary) set. 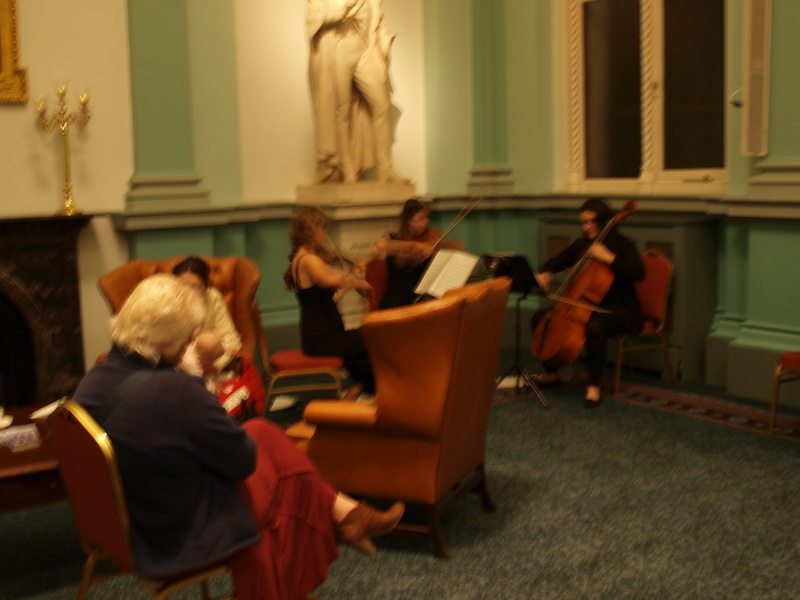 After the National Gallery we wandered into the Alliance Francaise, or Dublin’s French Club, more or less. 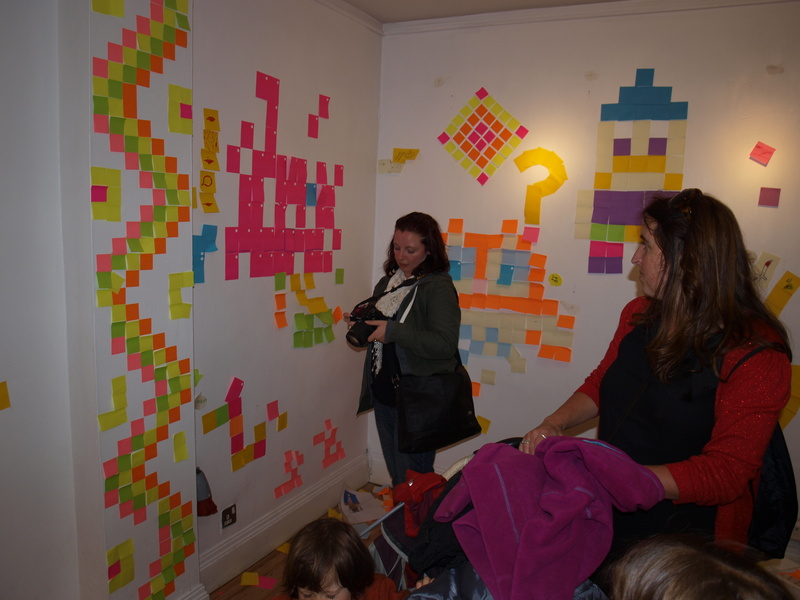 They had stacks of Post-It notes everywhere and invited people to design mosaics on their walls. Lots of kids there having fun. 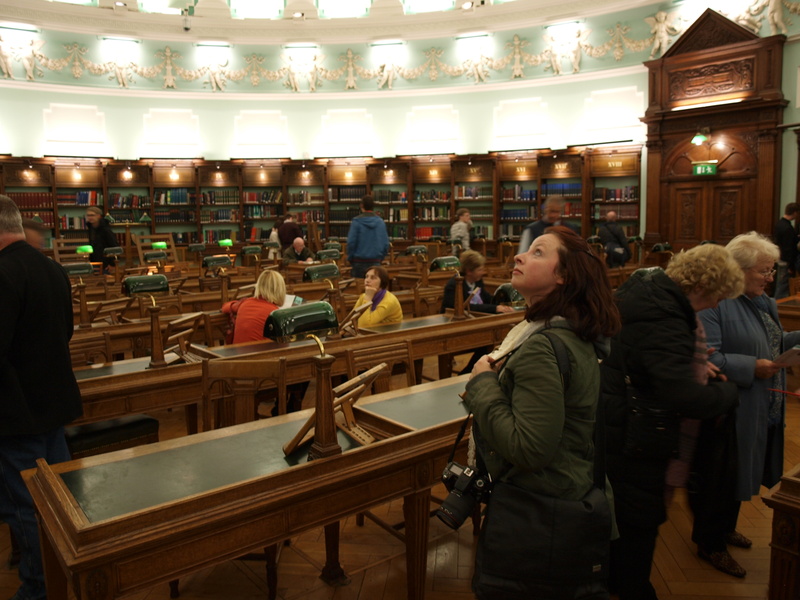 Then it was on to the Royal College of Physicians of Ireland. Basically a fancy club where Dublin doctors go to be fancy and…I dunno…talk about heart transplants? Hmmm, I think after that we wandered into the National Library, which was easily one of my favorite spots. That’s Haroosh in the above photo, by the way. He came with me to Dublin. More about him another time. After the library we met up with another friend named Ken and decided to wait in the long line for the Freemason’s Club. Why such a long line for one particular place? 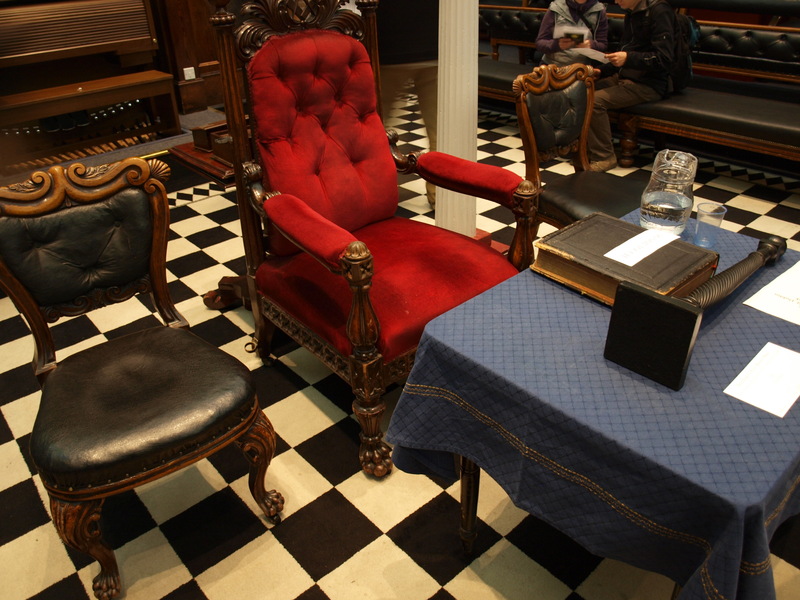 Well, the Freemason’s Club is one of those ultra-exclusive places you never get to see on ordinary days. 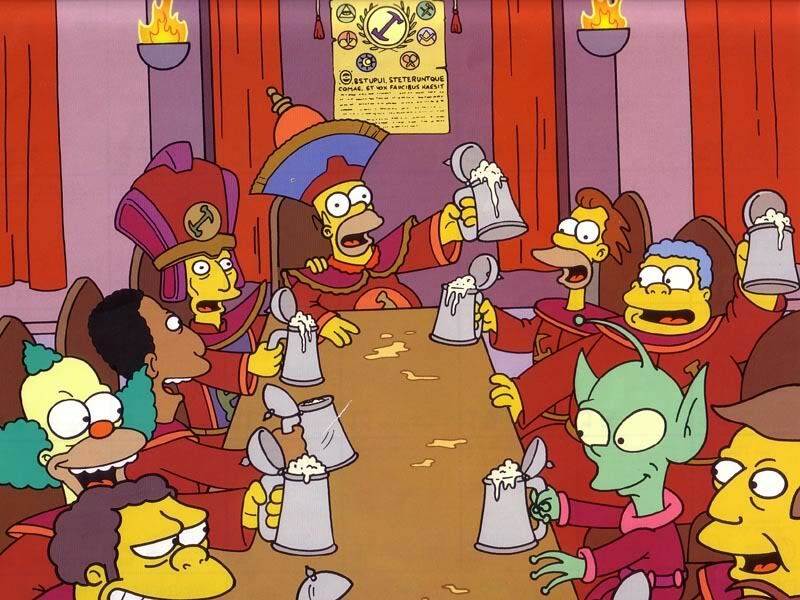 There’s a long history associated with the Freemasons, and many people have all sorts of crazy theories about how they secretly control all the governments of the world. Of course there’s a Simpsons episode about it. Who keeps the metric system down? WE DO! WE DO! 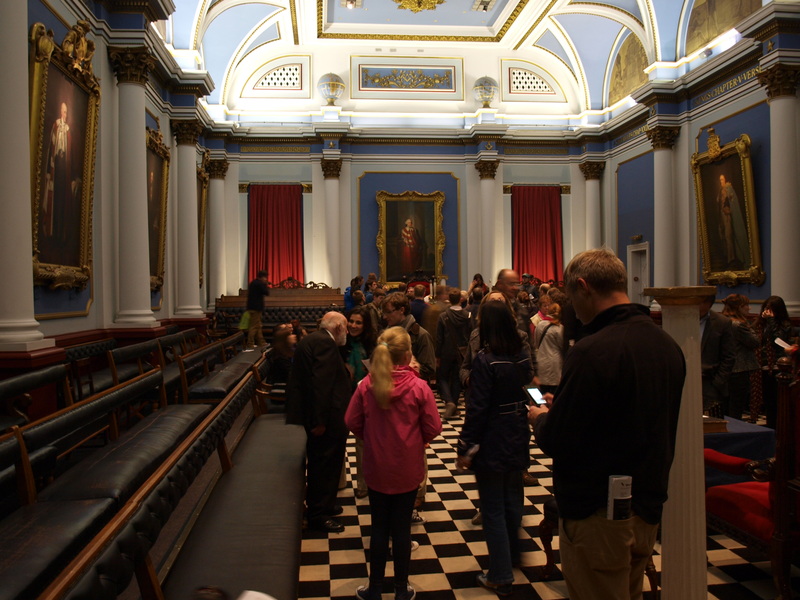 The actual Freemasons Hall in Dublin is a crazy mish-mash of different rooms all with their own theme. 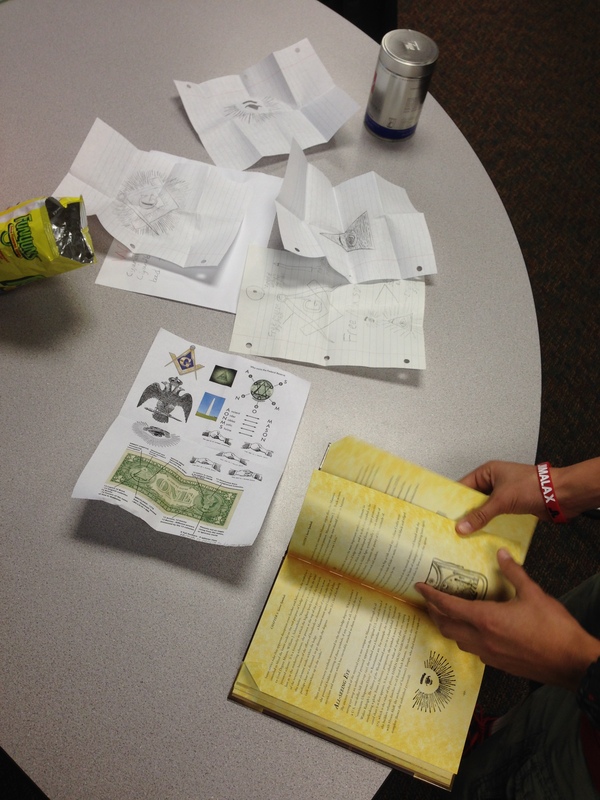 One is a “Knights Templar” theme; another has an Egyptian theme. It’s kind of like going to that part of Epcot Center where all the different countries sit around a lagoon. You just wander from one strange, slightly kitschy place to the next. The main hall feels like a parliamentary hall where nothing important ever gets voted on. The Mighty Throne of …. Something. 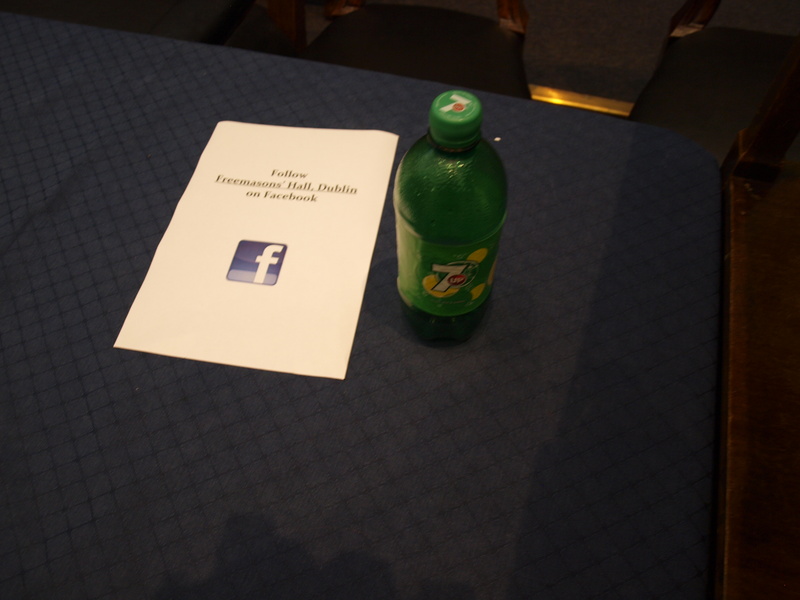 They can’t be that secretive if they’re on Facebook. Dejected after No Secrets Were Discovered. 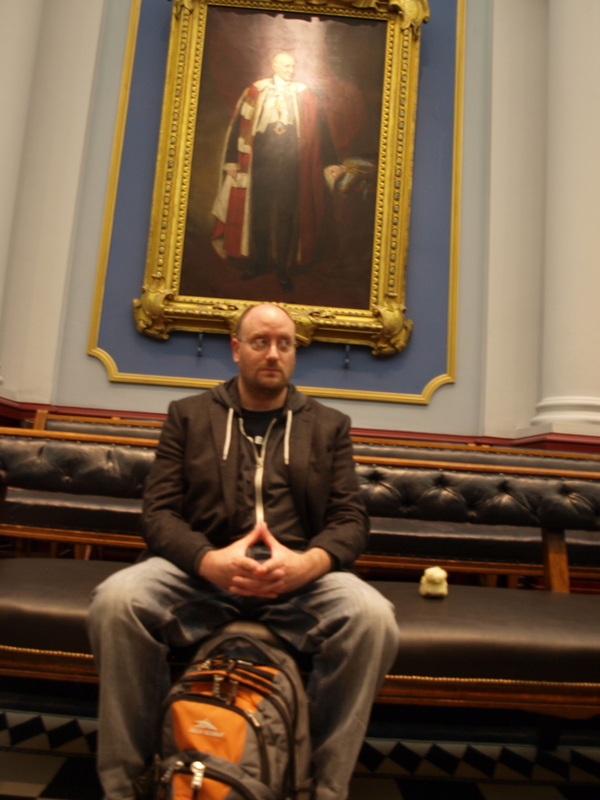 Overall, the Freemasons’ Hall was a big letdown. Just some fancy rooms where a bunch of dudes hang out and probably avoid going home to their families. Anyone can join for an annual membership fee of only 125 Euros… as long as you’re a man. No women allowed. Ugh. 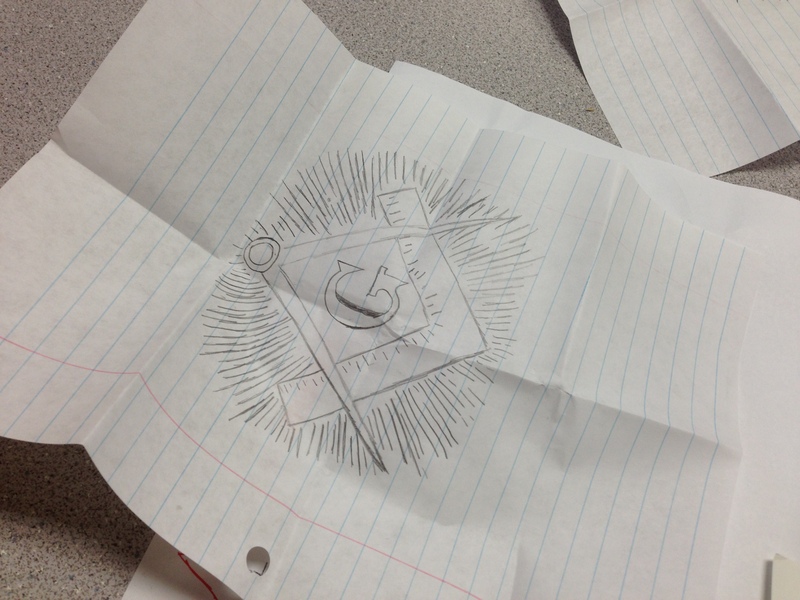 No thanks, Freemasons. I need more ladies in my life, not less! By the way: their website is HILARIOUS in its awful, awful design. Check it out.